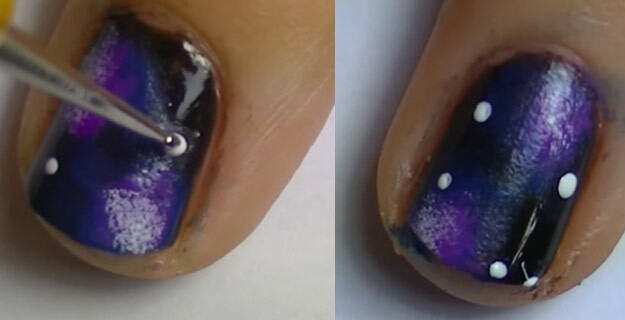 Love the look of galaxy nails but afraid they are too difficult to do on your own? 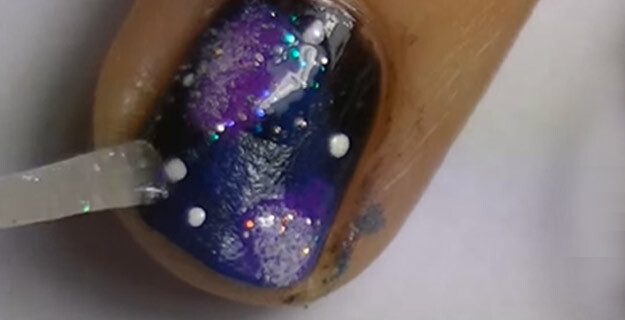 Never fear, we found this easy nail art tutorial that looks awesome but is not hard, and is pretty much a simple no fail method for getting a perfectly glamorous galaxy nail manicure. 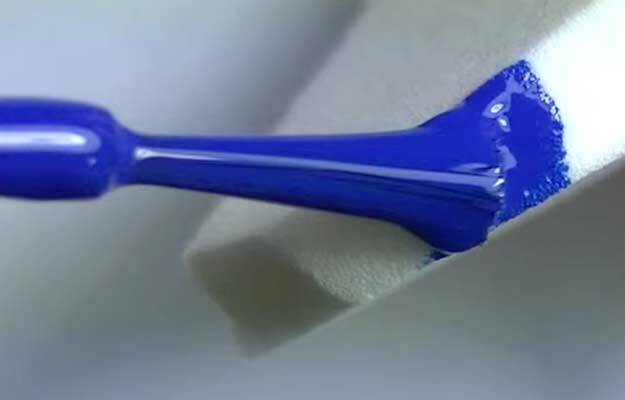 You will need a couple of different colors of nail polish for this one, but the techniques used are easy enough for beginners to follow along. I love this nail art tutorial for teens, as it is not impossible, and it is a lot of fun to do with friends. You will be amazed at how cool this one looks, with the stars and mesmerizing outer space look. 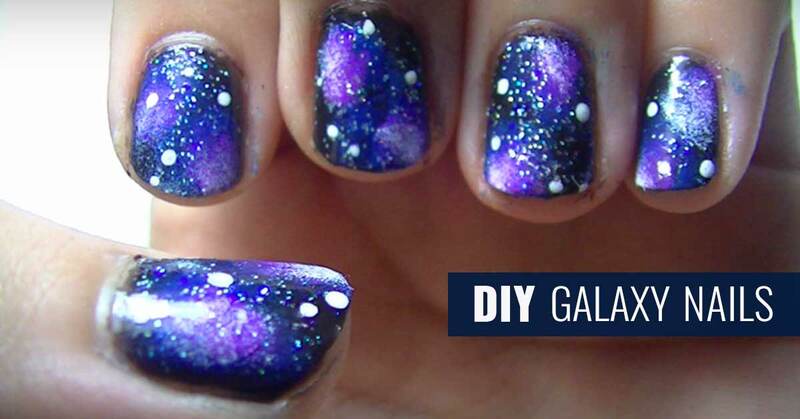 This step by step tutorial Youtube video shows you exactly how to paint galaxy nails – check it out below. Use a nail dotter, add white spots in random pattern. Vary size of dots as shown below. Allow nails to dry. 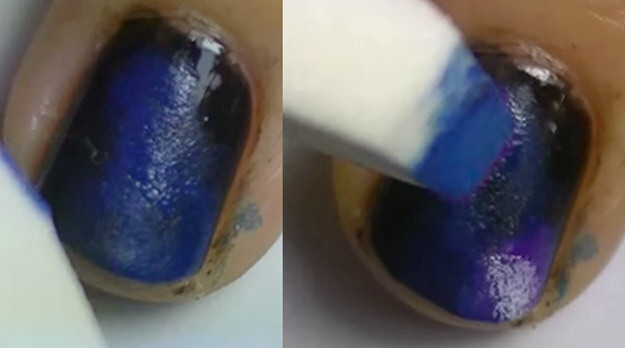 This awesome video by Rubiks Cube 907 shows you how to do this cool nail art project.